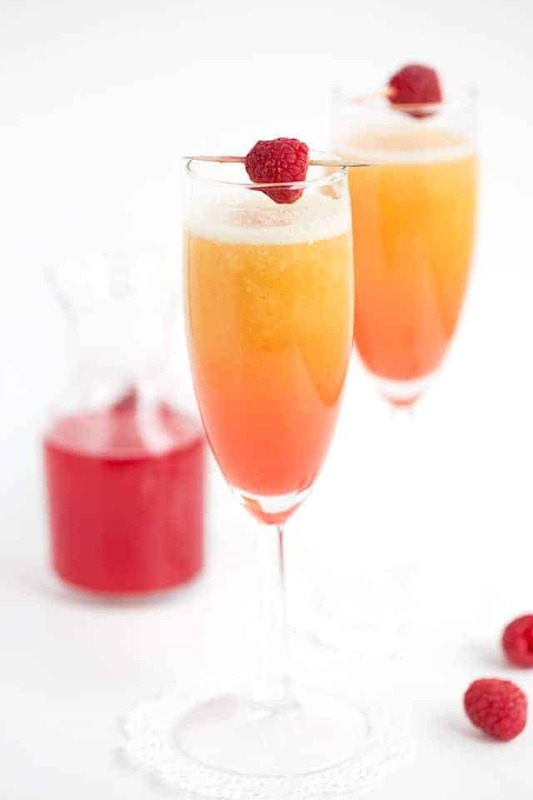 This peach raspberry bellini is an easy cocktail, perfect to share with friends. 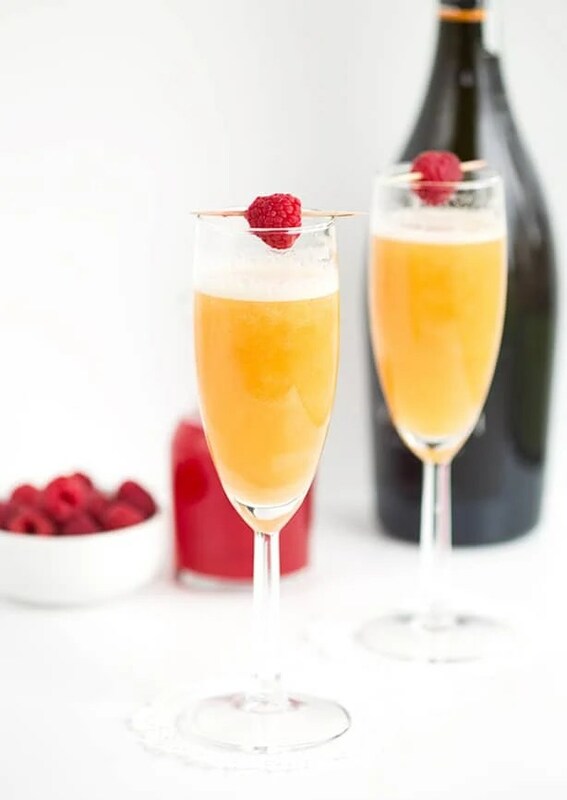 It has a fresh raspberry infused simple syrup, peach puree made of frozen peaches and peach schnapps, and finish up with some delicious sparkling wine! Did I mention it’s pretty? I’m always in the mood for a great drink especially if they’re fruity and pretty. Luckily, this drink is both fruity and pretty. It takes on the color of the peaches with a touch of pink from the red raspberry simple syrup. 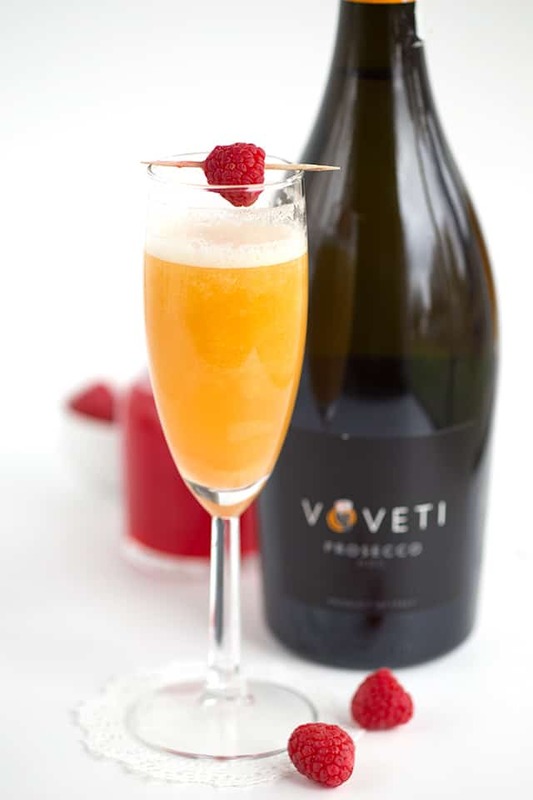 The Voveti Prosecco is what makes this drink amazing though. It’s fragrant, foamy, and slightly sparkling. It’s what you would call an “anytime” wine. For my wine lovers, this Voveti has a brut style DOC with tempered acidity and a fresh, graceful profile. I like to give the cocktail a stir after everything has been added to the glass. It brings all of the flavors together into a smooth, tasty drink. 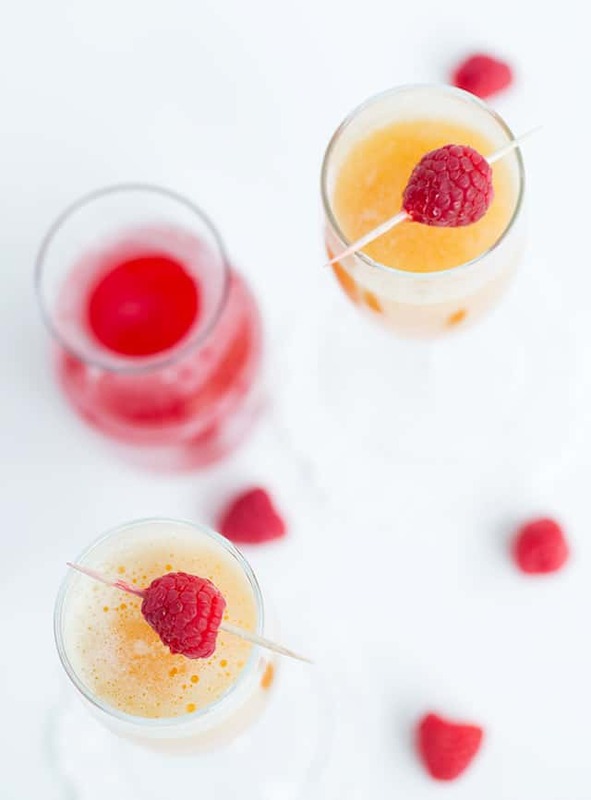 Without being stirred, the layers are beautiful, but you won’t get the peach raspberry flavor until you’ve drank all of your sparkling wine first. I used fresh raspberries for my drinks, but I think the fresh berries could easily be swapped out with frozen for those times you can’t seem to find fresh raspberries anywhere. I know I’m not the only one that has terrible timing when it comes to seasonal recipes. Glad we were able to solve that issue for this drink, but you’ll be craving it year around! Oh so another thing that you probably noticed about the very first photo in this post is that the bottom is pink and it turns into the peach color. I added an extra splash of the red raspberry simple syrup to my cocktail after it was all stirred together. The syrup sank to the bottom because of its sugar content and it turned into a sunrise drink. I’m a pretty big fan of it! It will sweeten the drink more though soooo be warned! 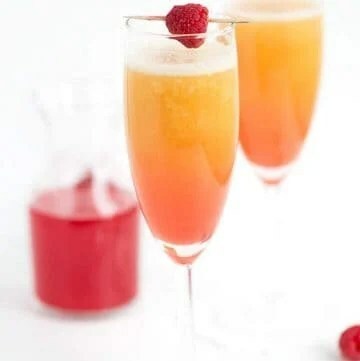 These peach raspberry bellinis are an easy cocktail to make! They're sweet, fruity, and have a nice foamy top. 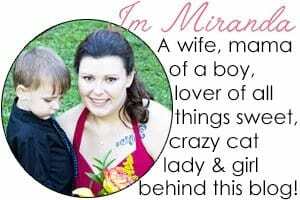 Did I mention, they're pretty to look at? In a small saucepan, add in the water, sugar, and raspberries. Place over medium heat and stir. Using the back of a wooden spoon, start squishing the raspberries to help release some flavor and color. Once bubbles begin to form out the outer edge of the saucepan and all of the sugar is dissolved, remove from the heat and strain. Let the syrup cool to room temperature or chill. In a blender, add in the frozen peaches, 1/4 cup of simple syrup, and peach schnapps. Blend until smooth. 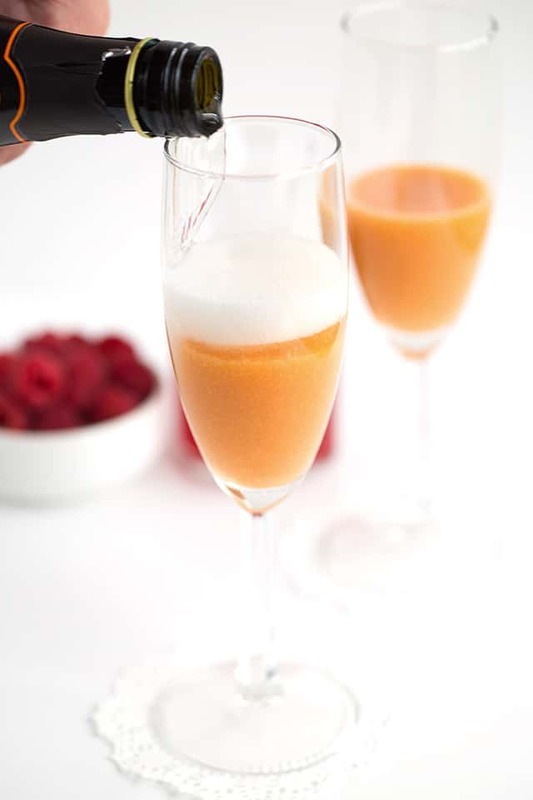 Divide the peach puree between two champagne glasses. Fill the rest of the glasses with the Voveti Prosecco. Stir to combine. For a hint of pink at the bottom of the glass, add a small splash of simple syrup. Garnish with a fresh raspberry!